WAFFLES: Um, hi everybuddy. It's Saturday! Can you guess what today's photohunt word is? KATIE: Well today's photohunt theme may be SPARK, but *someone* is a few sparks short of ignition. We luff Katie; she is our She-ro! Wow, I didn't know Waffles couldn't even spell his own name - this is something else you can hold over him, Katie! Wafflz, I should seek legal advice if I were you! That is OK Waffle, we kind of like that spelling of your name. Katie, you are too cute with your Spark. Poor Wafflz....he has a lot to learn. 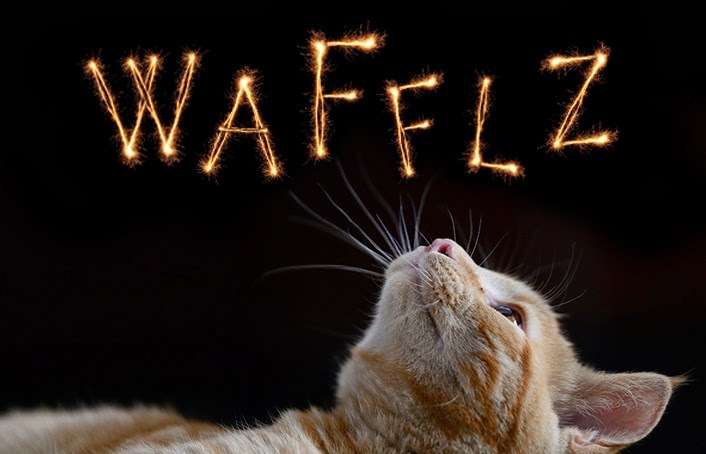 We think Waffles sparkles with his quirky personality just like Brûlée. Best comment about Waffles yet, Katie! Does Waffles need to go back to kitten Kindergarten to learn to spell his name? Hey W2, it is your name after all so spell it however you like! And a few Wafflz short of breakfast. Heh heh. Waffles needs some spelling classes, isn't that right Katie? Katie you crack me up. Have a great weekend. I think the spelling is his Rapper Kitty name, and happen to like it because it has a Z in it. We love Katie and Wafflz! Allie: WAIT. 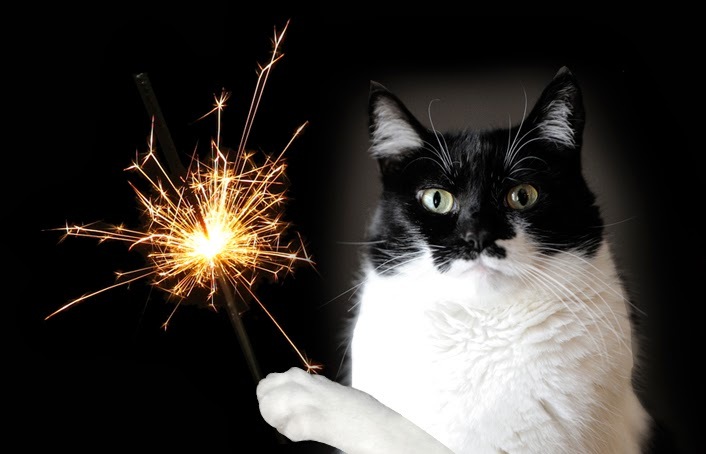 A sparkler, and a bratty brother within paw distance? I see a behavior-modification activity in the making.